Most racing takes a ton of strategy. This is why we see the same superstars winning or placing well time and time again. However, Formula E takes the strategy to an entirely different level. This is not just due to the fact that these professional drivers are accustomed to strategizing, but rather because the setup leaves no other choice ... if you want to win. 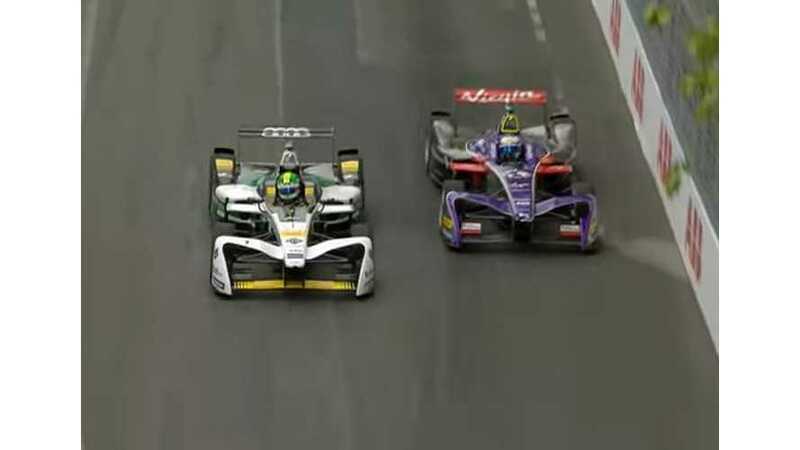 For those unfamiliar with Formula E, it's important to understand that the vehicles are 100 percent electric and every driver must use two cars to make it through a full race. These factors add interesting elements of challenge, which up the ante when it comes to forming a successful game plan. In the following video, we look at four key strategies used by leading Formula E drivers that may make the difference between winning and losing. Battery management is key here. The goal is to use one car for half of the race and the other car to complete it. However, how you choose to do so is where it gets tricky. Where you qualify also tends to dictate which plan will guarantee the most positive results. Strategy 2 (Extend) - Save energy in your first car and try to get an extra lap. This means you'll have more energy available in the second car near the end of the race. Strategy 3 (Attack) - As Daniel Abt has proven successful, you can attack hard with the first car and maintain a strong lead from the outset. Then, the goal with your second car is to defend that leading position. Strategy 4 (Conserve) - This is similar to the Extend strategy, but to a much higher level. Save as much energy as possible, coasting at the start of the race and remaining in the rear. This will further extend the first car's staying power so that you can truly open up with the second car. In the ABB FIA Formula E Championship, good race strategy is crucial to winning. We examine the four main strategy options available to the teams when they should be employed. The ABB FIA Formula E Championship is the world’s first fully-electric international single-seater street racing series...and we're coming for your streets! World-class racing in 10 cities over five continents during a seven-month Championship season including New York, Hong Kong, Paris and Rome. ABB Formula E is not just a racing series; it also serves as a platform for global car manufacturers and mobility providers to test and develop road-relevant electric technologies. We are helping to refine the design of electric vehicles and improve the driving experience for everyday road car users all over the world.